If you’re a trader, how can you be really certain that your suppliers aren’t selling you fakes? Buying fakes can happen completely unintentionally. The fake may look very similar to the genuine thing after all – usually it does, as that’s the point of fakes. They may even have caught out your supplier. But this situation can have severe consequences for you and your business, not least because counterfeit products are generally of inferior quality (they’re the short-cut, cheat’s version of the well-crafted and brand-backed original). It’s not just your reputation that comes into question when fake products are discovered – and they generally are discovered. They may even be harmful to consumers from a health and safety point of view, so if you’re selling them – knowingly or without reasonably verifying their origins, you may be held partially responsible (by Trading Standards or even the courts), for the damage that they cause. Common examples of goods that are often counterfeit include electrical products, cosmetics, alcohol or cigarettes, music and film products (for example the piracy of DVD’s). Let’s break this down. First, let’s take a look at what is a fake? A fake or counterfeit product in general terms refers to an imitation of the real product. What does the law say about fakes? Well, it’s pretty clear. It’s a criminal offence where someone makes, distributes, imports and sells fake products masquerading under a recognised brand name and clearly, for financial gain. If you do this and you’re caught out, it can lead to a fine and/or being imprisoned. 5. report any suspicions that you may have to Action Fraud or Trading Standards. The government guide on counterfeiting and piracy can be found here. For a friendly chat or some further guidance about counterfeit goods and fraudulent suppliers, you can always get in touch with us. 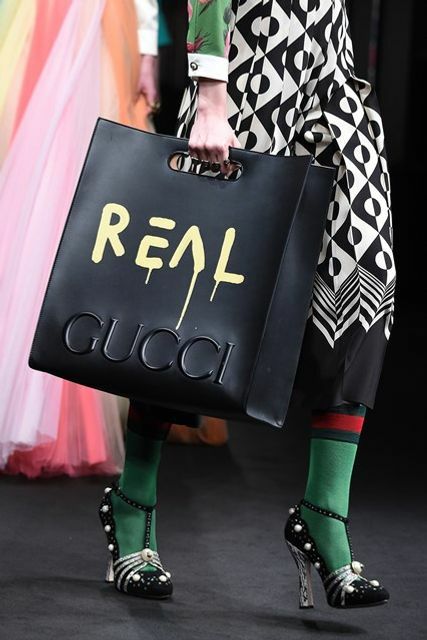 FAKE bags and shoes worth more than €320 billion were sold last year, a report by the Organisation for Economic Cooperation and Development and the European Union's Intellectual Property Office has estimated. "@BritishVogue: Which fakes are seized most often worldwide? A new report reveals all: https://t.co/7OIxoAZsLs pic.twitter.com/U4Srap231z"